Proper grammar is essential for just about everything we do. Whether you are a college student looking to get a good grade on a paper, submitting job applications for your dream job, or a freelance copywriter, you likely write a lot. This means that well-written and clear copy is an essential part of your personal and professional success. I work with clients from many industries to help produce high-quality content for their business needs. As part of my business strategy, I started to put a lot of time and effort to write blog posts to share my knowledge and increase lead generation. Have you ever been called out for a mistake that you didn’t know you were doing? It feels awful, and this exact thing happened to me on Reddit. I thought my blogs were free of grammatical errors, and everything was going great, until BAM! someone pointed out that my blog posts have multiple spelling and grammatical errors. It felt like a shot to stomach – I was sad, embarrassed, undermined, and helpless. I spend so much time and energy to make sure my writing was free of errors just to find out they were not edited correctly. These mistakes undermined all my effort and made me look unprofessional. This was a wake-up call that I needed to put more time into editing or find another way to improve my writing. I started to spend more time editing my blog posts because I was worried about making a mistake and looking stupid again. I never had a problem with client work, but it seemed that my blog posts were struggling. This is when my focus to finding a tool to help me came into play, and I found Grammarly. I write a lot, and now that I am maintaining a blog I need to ensure I produce great content efficiently. 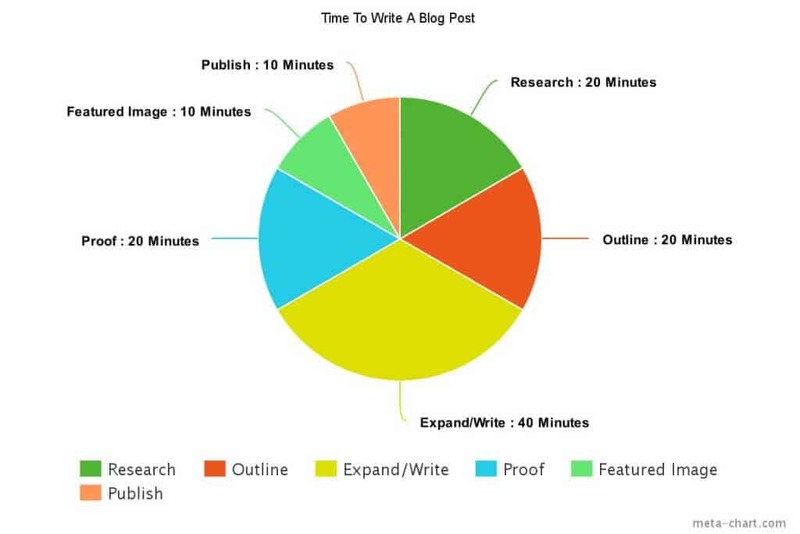 Each blog post I write takes about two hours total. By using Grammarly, I have reduced my total production time by 30 minutes for each blog post. While this is a great time-saver, the real benefit for me is the reduced paranoia I have combing over every sentence multiple times worrying that I am missing some grammatical error or repeating a word too many times. 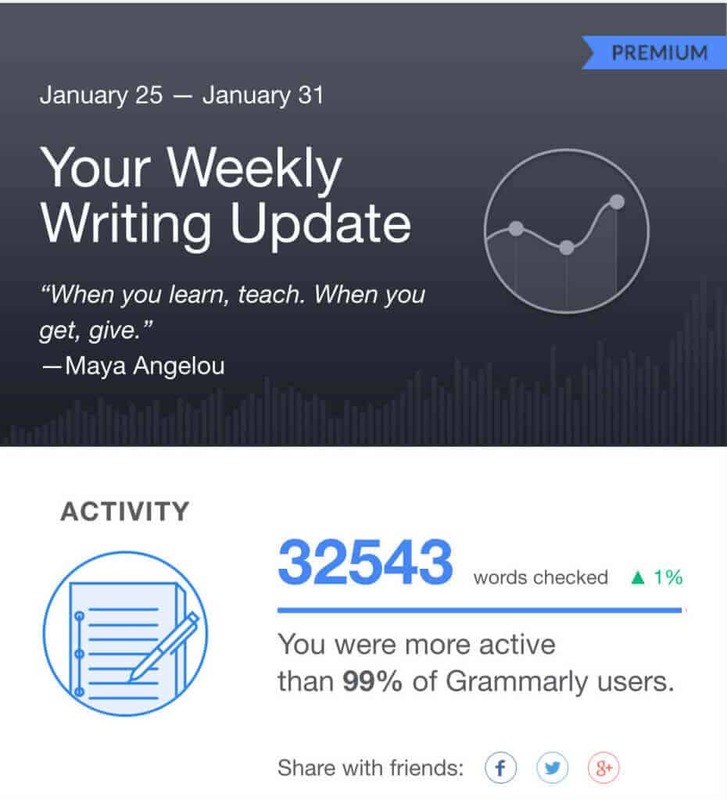 Grammarly is worth the price for Premium for me because I write an estimated 1,692,236 words each year. This makes grammar essential, and my professional consulting business relies on delivering professional copy at all times. I did a lot of research before signing up for Grammarly. I looked at competitors and considered staying with the free version. But after a little more research I decided to give Grammarly Premium a try for a month. I was instantly blown away with the improved ability of the Premium version vs. the Free version. Word suggestions for unnecessary words, identification of Passive Voice, and another advanced grammatical oversight gives me a quick reference to improve my writing. Grammarly is great for blogging, but the thing I like about it is that Grammarly is constantly watching your back. It integrates with Gmail, Chrome, and Word so you are never left wondering if annoying grammatical mistakes are drowning my writing. This means I can focus on creating value for my clients without having to worry about technical details. My biggest wish is that Grammarly was integrated with Google Docs. I do all of my writing in Google Docs, so it can be cumbersome to copy/paste my content into the online Grammarly app to check for grammatical errors. However, the extra step is not a huge stumbling block for my workflow, and I have been able to work around that annoyance with relative ease. I highly recommend that all college students, professionals, and regular people try Grammarly Free version. Then, if you need extra confidence and power use, you should try Grammarly Premium for a month. You won’t be disappointed with your choice and feel more confident that your writing is high-quality! Full disclosure: I am an affiliate with both Grammarly. This means that I receive a small payment when you sign up for an account using a link above. I still use the service every day and love it, but I wanted to be 100% honest with you all!